It is not that common for the July 4th holiday to fall on a Monday or Friday, presenting us a long weekend, like it does this year. The last time this happened, in 2011, we decided to do a road trip to New England, despite the threat of heavy traffic on the roads. And boy, what a fabulous trip it was! Plymouth and Mt. 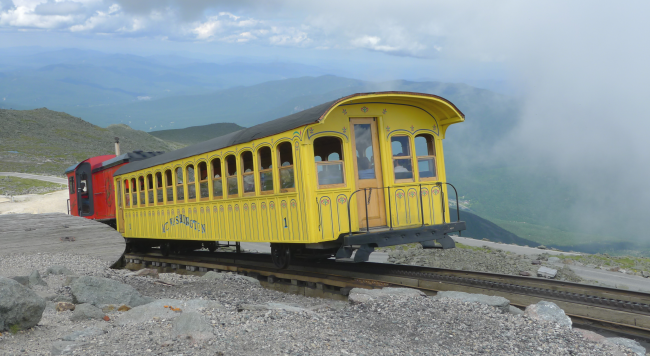 Washington in New Hampshire, Sebago Lake State Park, Bailey’s Island, Acadia National Park, Sand Beach, Cadillac Mountain, and Bar Harbor in Maine… that was our travel plan. We were four of us on the trip, all walking enthusiasts, of course some more so than others. Plymouth town is named after Plymouth Colony in Massachusetts, the first New England settlement by the immigrants from England who sailed on the ship Mayflower. Several prominent citizens of the 18th and 19th centuries are associated with this town. 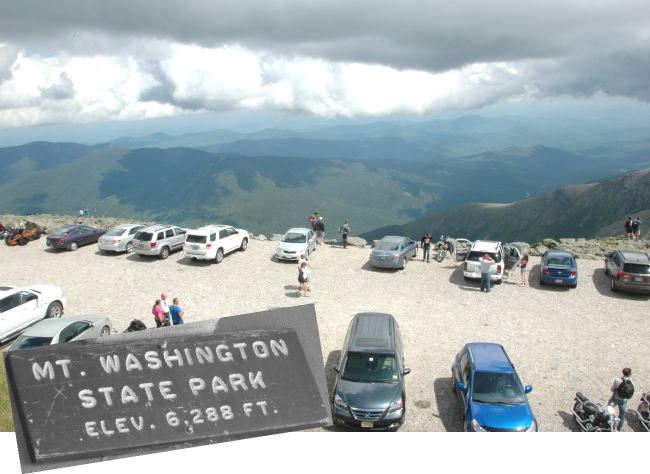 At 6,288 ft Mount Washington is the highest peak in the north eastern United States. Can you believe, Giovanni da Verrazzano – of the Verrazzano Narrows fame – noticed the mountain from the Atlantic Ocean in 1524 and wrote about it? 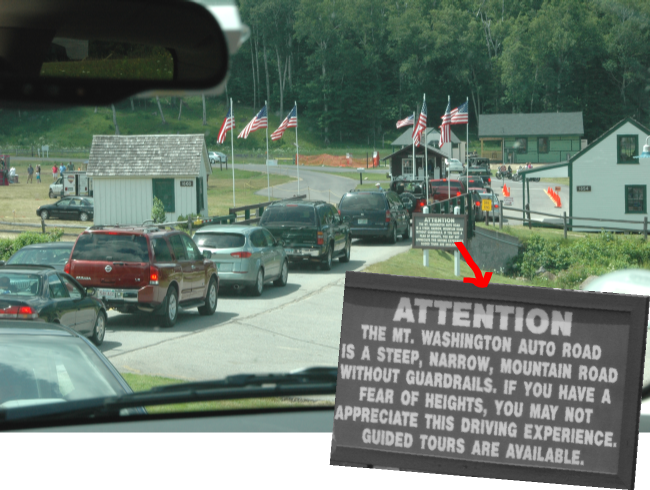 Intending travellers are warned of the tricky climb up the mountain at the beginning of the road. The views from the car windows are awesome to say the least. As the road goes up, layer upon layer of mountain ranges unfold beneath. And the vegetation grows scantier, ending in miniature plants and evergreens. As you reach the top, the only vegetation to be seen are the lichen clinging to the rocks. For 76 years till 2010, Mt. Washington held the record for the highest wind gust directly measured at the Earth’s surface, at 231 miles per hour, recorded by the weather observatory at the top, on April 12, 1934. Also, several hiking trails go up the mountain. 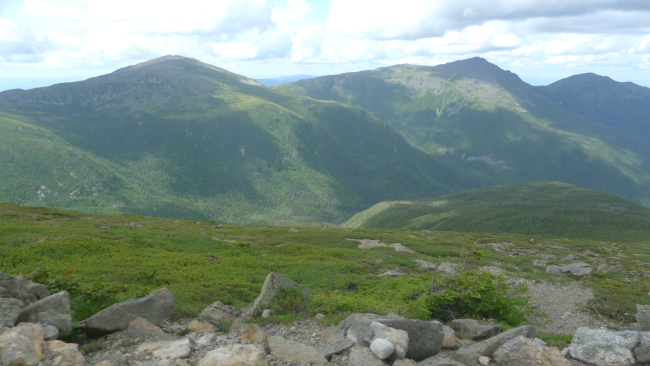 These trails provide spectacular views of the surrounding ravines and mountains. Plans for another day! 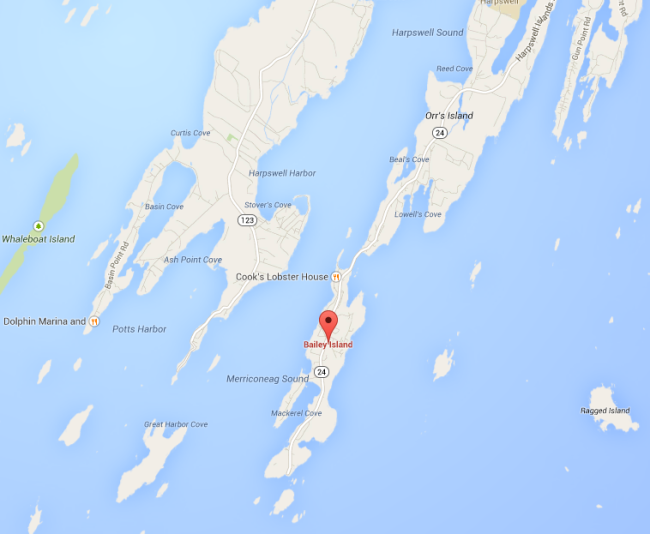 The Lakes Region of Maine consists of more than 50 lakes, of which Sebago Lake is the largest. The lake has several beaches suitable for activities like boating and camping. 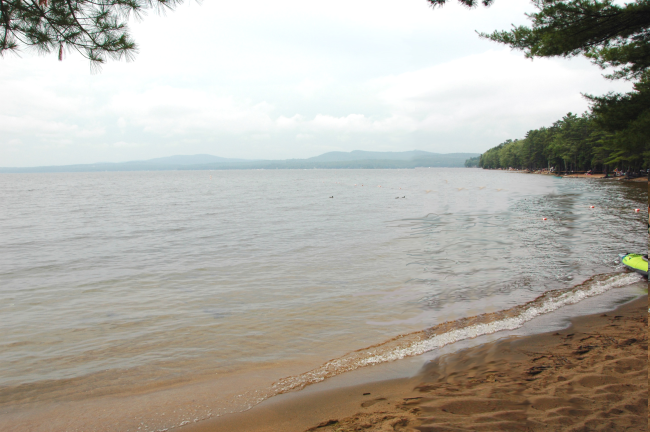 Also, the Sebago Lake State Park has hiking and biking facilities as well. 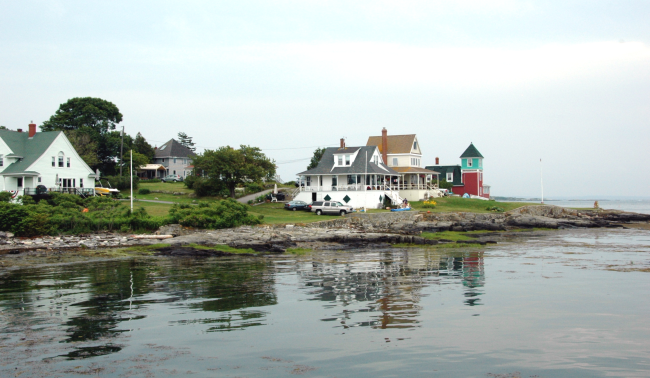 As our plan was focused more on sightseeing than activities on this trip, we continued on to Bailey Island, which is located at the end of one of those finger like protrusions into the Casco Bay to the south of Maine. 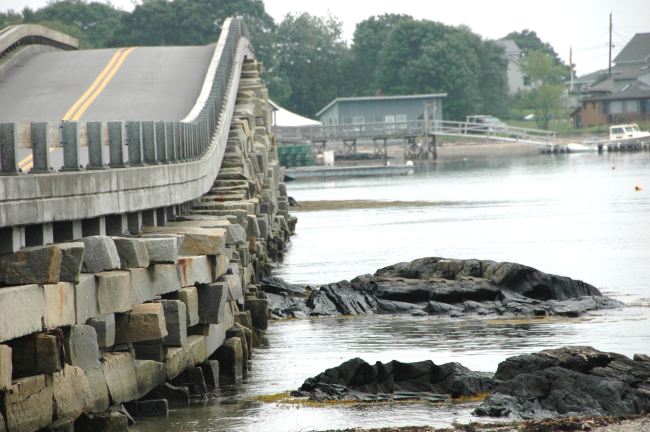 The drive to Bailey Island, along the Harpswell Island Road, is one of the most beautiful ones I have ever been on… the two-lane road passes over beautiful bridges and presents a view of the water at all times, sometimes on both sides of the road. The shores are rocky, with spreading green meadows and lawns going up the shore line. And houses like picture post cards! No trip to Maine is complete without at least one encounter with the lobster! 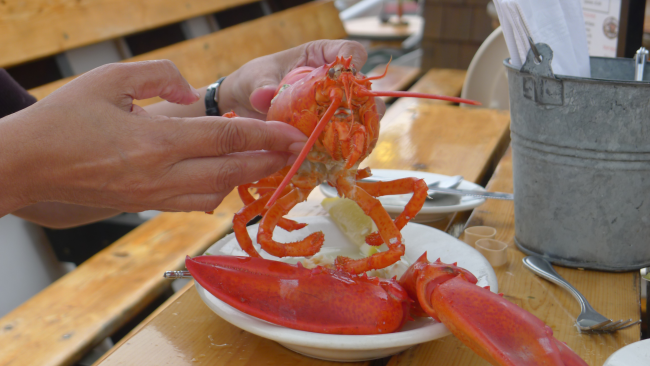 And the lobster did not disappoint… I do believe there is something really special about eating a lobster in Maine! 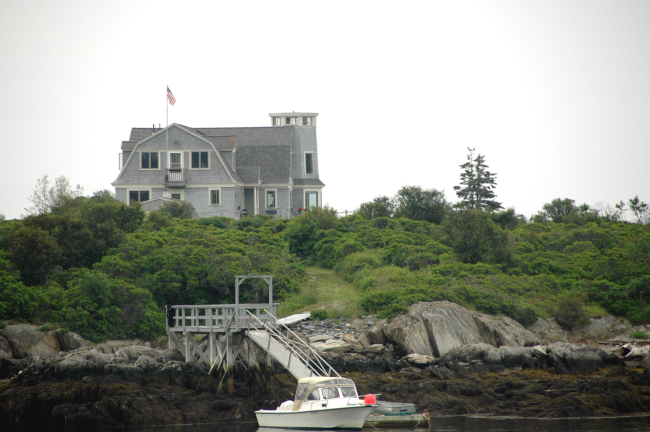 We drove till the end of Bailey Island, which spot offers a wide view of the waters and some of the surrounding islands.